Now that Microsoft has shipped IE8 and is rolling it out via automatic updates it was time to double check the XDe and ensure it works on the new system - not that we expected any issues, and everything checks out. PawPrint´s long time adherence to standards compliant coding has paid off yet again in that as far as all our tests have shown, absolutely no modifications are required to the XDe suite of modules and web code in order for them to work flawlessly in IE8. This doesn´t come as a big surprise since IE8 is the most standards compliant Microsoft browser product yet - finally Redmond is seeing the light and working with the rest of the Internet community rather then trying to force their own ideas. IE8 is still the slowest and least standards compliant modern browser option - but many just don´t look at their options and the automatic update will see countless masses just clicking the easy install button. 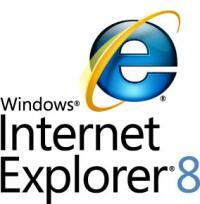 The release of Internet Explorer 8 also, hopefully, once and for all puts a nail in the coffin of the much despised version 6 of the IE browser. 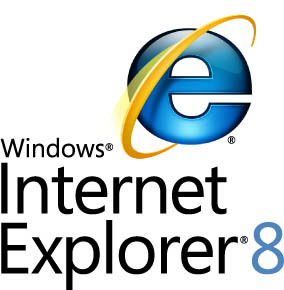 Internet Explorer 6, known by all web development professionals as a lingering menace they wish would just go away - finally might, or at least enough that it can be ignored. The most insecure and non-compliant browser currently in use is slower and fails to properly render a significant proportion of the content online, yet millions still use it - largely due to ignorance. A sad fact that is actually holding back a lot of web technology development. Despite countless free options available and being 8 years old now, people just don´t realize the downsides or that they have options and therefore have not upgraded. The new push (automatically) to install IE 8 will hopefully drive this decrepit old software into the bin alongside the free AOL CDs and other paraphernalia from it´s day (IE6 was released in 2001).